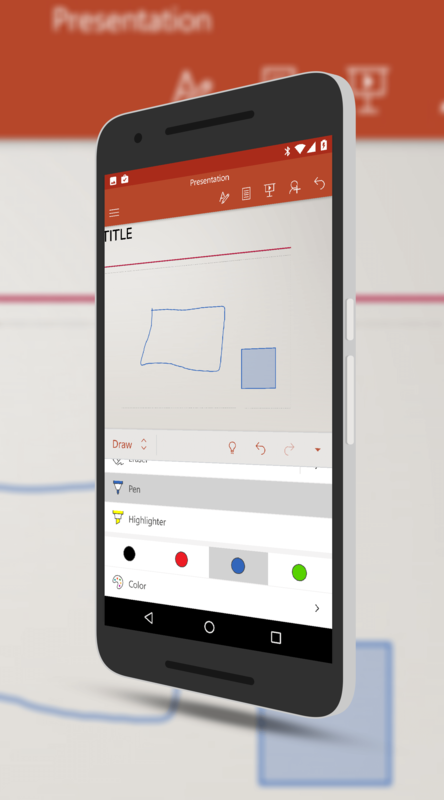 Microsoft has started rolling out an update to PowerPoint for Android that has a new Shape Recognition feature. The update now gives you the option to have the app recognize any shape you draw with your finger or stylus in free form and snap that into a perfect version of that shape. So, for example, if you draw a square, with this feature enabled, you will get a perfectly formed square on your slide instead of your free form version. You can, of course, not enable this, but it is super handy and is something that until now hasn’t been in the mobile version of the app. been addressed now and you have the ability to do this for titles, data labels or legends. Like Google with their G Suite of apps, Microsoft continues to push what were desktop only feature to mobile devices, making them more powerful for those who are on the go and need to create & edit from their phones or tablets. If you have the app installed, the OTA update should be rolling out to you over the course of the next few days. You will also note that there is an update available for Word and Excel too but these are just for minor bug fixes. There are no new features in those apps. The Microsoft Office apps are free to download and free to use. If you have an Office 365 account, you will be able to unlock all the features of the apps.